Rebuild kit for the ITALIAN-made (!) Weber DCOE 45 carburettors. Contains the parts to service 2 carburettors. For the exact contents, please see the photograph which shows all the parts and items included in this kit. 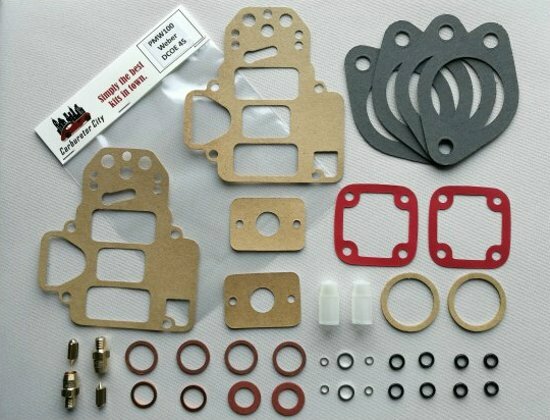 This is a Carburetor City carburetor gasket set that was manufactured for us in Italy to an exceedingly high standard.